MCLab’s DNA Fragment Size Analysis Kit offers fast and reliable separation, sizing and quantification of DNA or RNA libraries utilizing Capillary Electrophoresis technology, which can separate molecules with a single base difference. MCLab's DNA Fragment Size Analysis Kit offers fast and reliable separation, sizing and quantification of DNA or RNA samples utilizing Capillary Electrophoresis technology, which can separate molecules with a single base difference. The kit provides high-resolution sizing and quality control of your DNA/RNA samples. 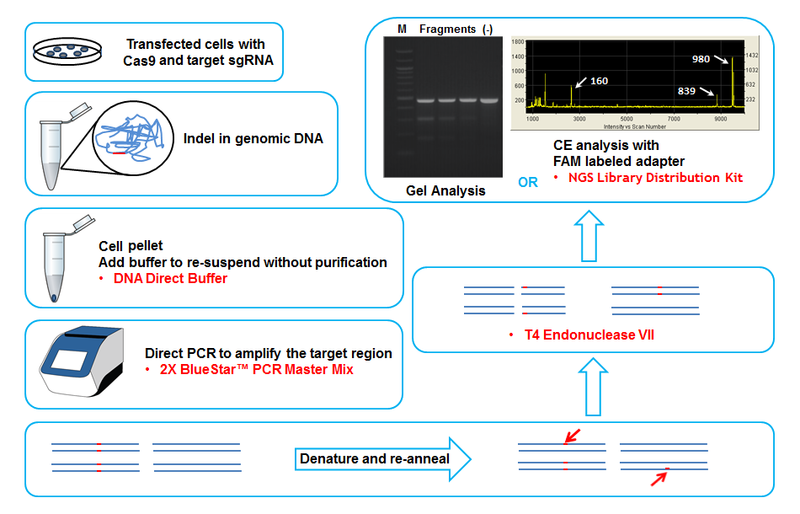 Easy and fast sample preparation: fluorescent labeled DNA oligos can be attached to your amplified NGS library within 5 minutes. High resolution: separate molecules with a single base difference. Ultra high sensitivity: one signal for each DNA molecule. Peak sizes are true to molecule quantity. No normalization is needed. Ultra high throughput: continuously analyze 960 samples* within a run. High accuracy: DNA ladder added to each sample to eliminate equipment errors and increase sizing accuracy.